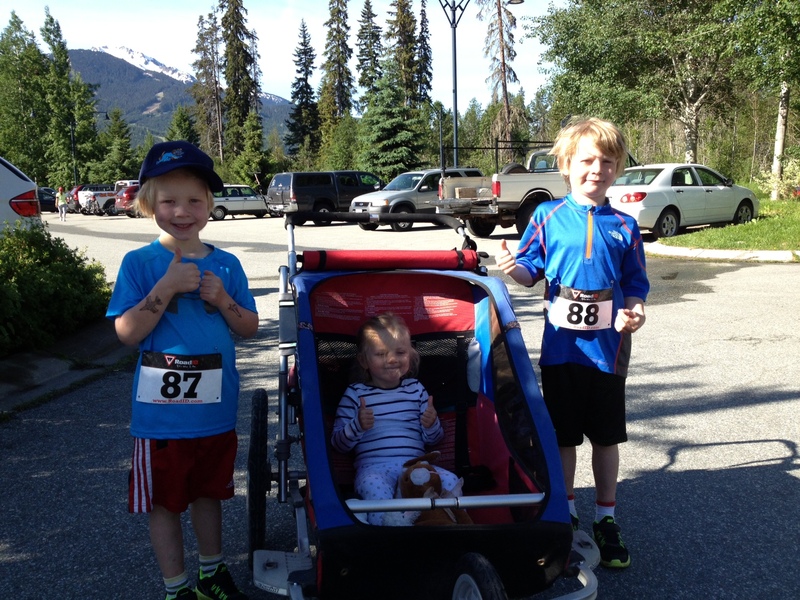 I’m the first to admit that I love running with my kids. Sure, the pace is different than what I am used to but running with my 7 year old on the trails is just really fun. I let him set the pace, we stop a lot and we chat about the most random things (usually: Lego). Both boys have each run a 5K. And by run, I mean run/walk/zigzag/play tag/stop for water and cookies, etc. They had fun (which is the primary goal) and got a ribbon at the finish line (secondary goal). Lately, lots of headlines have been popping up about 5 year olds “setting world records” for half-marathons, 14 year olds running marathons or 6 year olds petting llamas and raising money for pro-life organizations (this one infuriated me). Maybe I’m missing something here. Maybe these kids are just way more competitive than mine. But I have a really hard time believing that these kids do it on their own volition. 21k is a long way to go (and this leaves me wondering how much training is involved to get them to the start line). It’s a lot of pounding on little joints, bones and muscles. And let’s face it – it can be boring. Maybe these kids are more focused than mine and don’t mind the boredom. But I doubt it. I have sneaking suspicion that there’s a running version of a hard-core soccer mom or dad lurking in the background. I mean, do we really believe that a 6 year old understands what pro-life means? For now, I think we’ll stick to playing in the forest and chasing each other through the trails. Previous postWhat would you have done? Next postQOTD: A day in the life of Anja. Yup. Let’s let kids be kids. That means making room for lots of unstructured time to muse, putter, ponder, and explore the world. Thank you! There are exceptions — I do know a *few* super competitive 9 year olds — but hey — They’re **9** not **1** ! Anyway…I digress — You’ve got me hooked on your writing & I hope you keep it up. Thank you! !